For the novice outdoors person foraging for wild edible plants and developing a relationship with "The Plant-People" can be a very daunting and many times dangerous endeavor. That is because there are thousands of and thousands of different species of plants all over the world in almost every climate, and to the beginner when you look out on the landscape onto a lush, vast sea of green either in an urban, suburban, or natural environment, the only thing you can do is stand in awe and wonder how you does one even start? 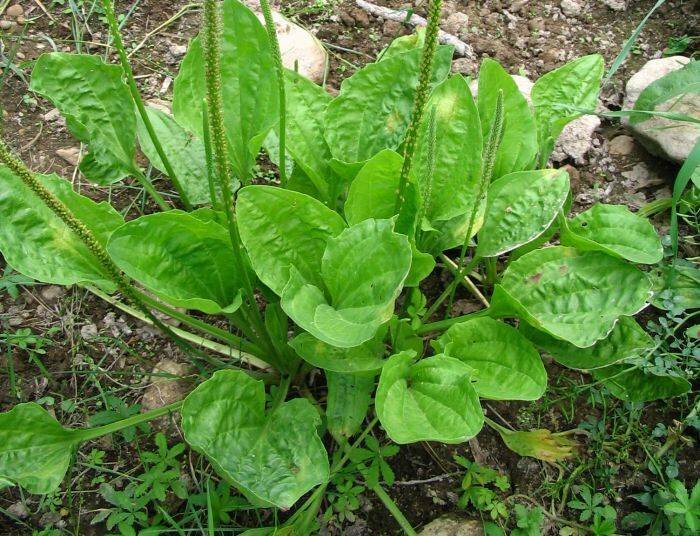 For the novice outdoors person foraging for wild edible plants and developing a relationship with "The Plant-People" can be a very daunting and many times dangerous endeavor. That is because there are thousands of and thousands of different species of plants all over the world in almost every climate, and to the beginner when you look out on the landscape onto a lush, vast sea of green either in an urban, suburban, or natural environment, the only thing you can do is stand in awe and wonder how you does one even start? I know I started out like that. However, I had a head start. Growing up in rural Indiana there was an abundance of wild edibles that at times almost seemed instinctual to try; crab-apples, mulberry trees, wild onion, wild carrots, wild strawberries, etc... a lot of these plants really just looked like miniature versions of store-bought items that I was very familiar with. So being young and foolish I made the leap of faith and tried many wild plants that I just knew were tasty or at least wouldn't kill me. However, I DO NOT recommend this strategy. I have since, (30yrs later) wizened up a bit, and have received training, and I keep a library of books and field guides that I use as reference material to help me to be safe when I am out and about looking for edible plants. I can, however, relate to the beginning "re-wilding" enthusiast in the over abundance of often confusing types of greenery. So I have come up with a 5 tiered level of plant identification and foraging to help simplify and provide a jumping off point to wild edible foraging. These tiers answer the basic but important questions of, "Which plant?" (Identification), "Where is the plant found?" (Location/availability), and "What do I do with the plant?" or "How do I use it?" (Usage). These tiers are laid out in an ascending order of ease; in other words as the tier gets higher the forager has gained more experience and thus confidence in harvesting other plants that may prove more challenging in finding, identification, and usage. As with any thing the best place to start is the beginning, with Tier-1 Plants, in fact, I INSIST you start there! Most hardest to mis-identify - Easy to spot hard to mistake for poisonous look-alike and/or have no poisonous look-alikes. These are the plants that I have chosen based on the above criteria. This is by no means a definitive list. There are many, many more plants world-wide that could fall into the Tier-1 plant status. These listed are actually those that are most common in my region (zone 4). Most of you will recognize the names of these plants, that is why they are in the tier 1 category. They are very, very common, so much so most people know them or know of them. 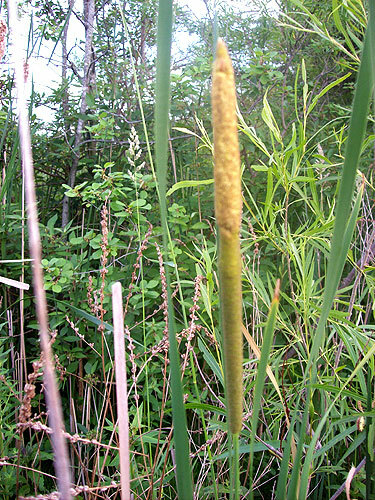 Cattail (Typha latifolia) aka "Supermarket of the Swamp"
As you can see many of these common "weeds" have many various uses and often the whole plant can be used depending upon the season and/or the plant's state in its life-cycle. Many plants have more than one use. So knowing that, one only needs to know only a few. It would take a life time to try and develop a relationship with all of the varying species of flora on our planet; a challenging project...but an unnecessary one. So for a start, just get to know a few plants and all the ways they can be used, and by knowing those few they will introduce you to more, and in turn those new plants will introduce you to even more, and before you know it you will have a large group of "Plant-People" friends that will all be too willing to come to your aid when needed. Provided they are treated with kindness and respect. Have fun, learn lots, share what you know, and be safe!